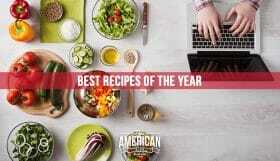 I was excited to share my most popular recipes at the start of the year. A few weeks later, this list of Jewish Food Bloggers You Should Follow in 2017 was published by Melinda at Kitchen Tested and it got me thinking. 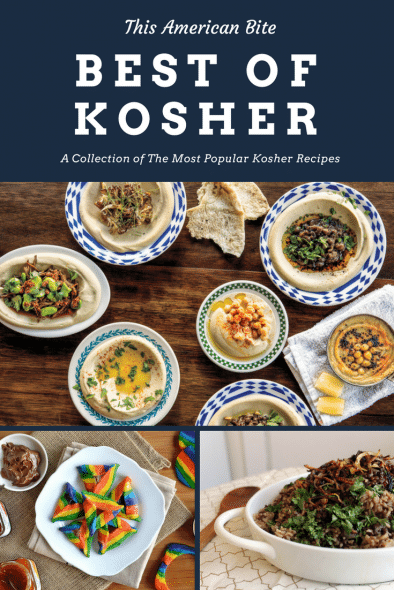 What are some of the all-time best kosher recipes out there? So I asked my foodie friends for their most-viewed, most-shared, most-popular recipes. 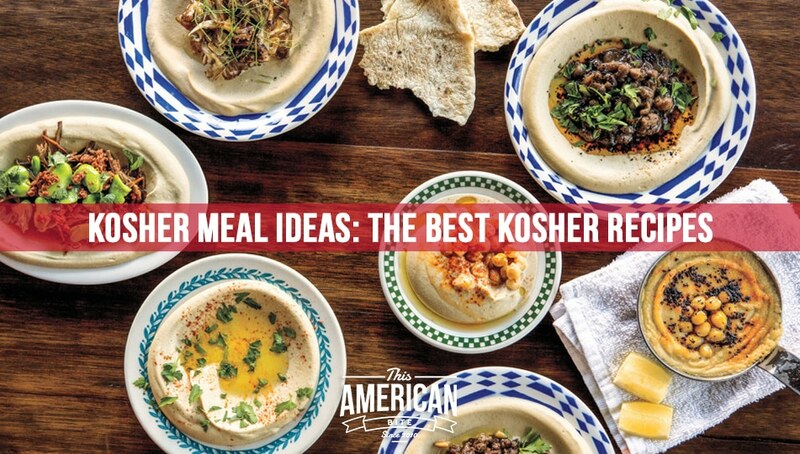 If you’re looking for Jewish food or kosher meal ideas, then this post should help you conjure up some inspiration. I don’t have much of a sweet tooth so I am leading with the savory dishes including mains and sides. Scroll to the bottom for some of the best Jewish desserts and baked goods that I’ve ever heard of. And if there’s something you’d like me to add, leave me a note in the comments. 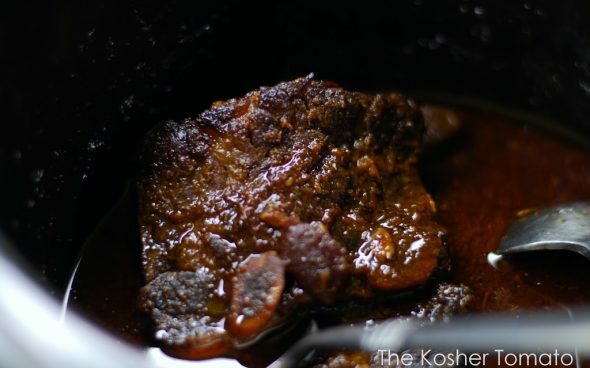 In no particular order, here’s a list of the best kosher recipes on the Internet today. 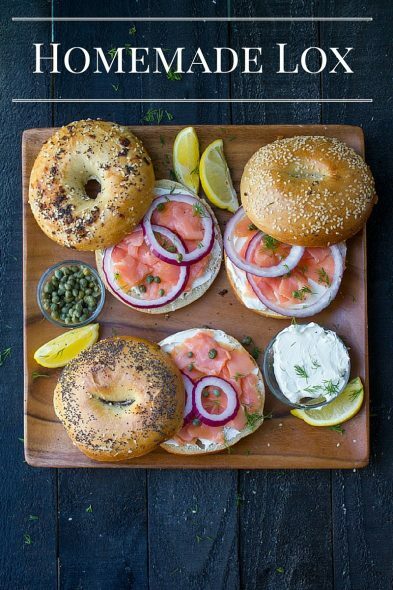 I must admit that I have wanted to make homemade lox for years. 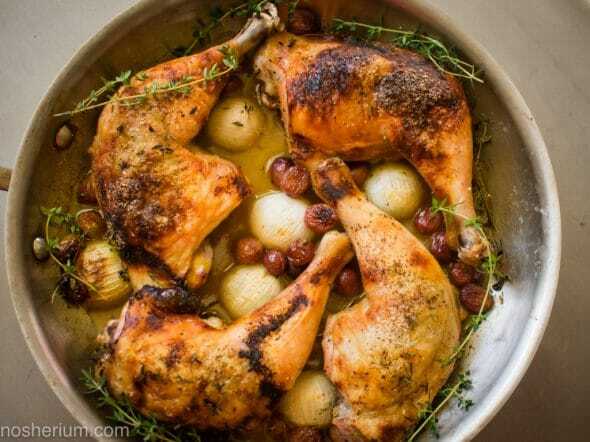 Now that I am sharing this recipe, perhaps it’s time for me make this for the family. I am all too aware that Pesach is around the corner but after seeing this post, I can see you enjoying matzah all year round. 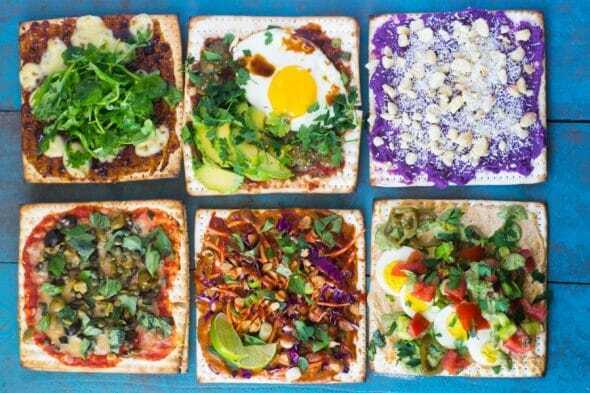 This blows the traditional matzah crackers with chopped liver and pickles out of the park. All the sweetness! I want to bookmark this recipe and keep it for Rosh Hashanah. I am a big fan of braised chicken (especially my braised chicken with golden beets and kale) because the meat is always so delicate and delicious. Ribs are a treat in our house. No matter how you cook them, ribs are a treat, and in all my years blogging, I’ve never shared my recipe! 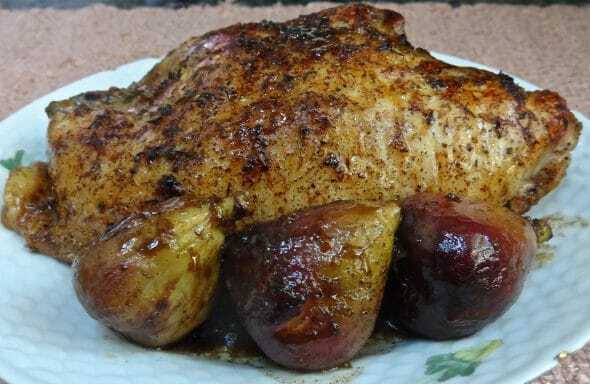 This is an awesome main dish for a Friday night dinner or an excellent way to prepare dinner ahead of time. I’d serve these with spicy potato wedges, grilled polenta, mashed sweet potatoes or rice to soak up the delicious gravy. Can I tell you a secret? I love chicken. 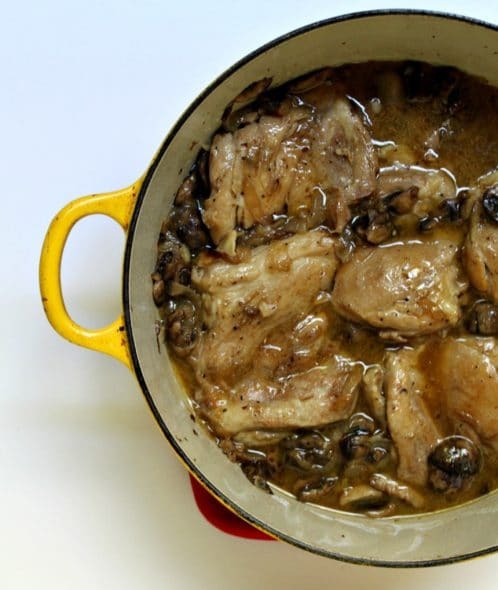 The perfect chicken dinner is so comforting and satisfying and Coq Au Vin is tied with Chicken Marbella when it comes to finding a way to my heart. Please excuse me while I drool all over my keyboard. Don’t even both looking at my rib roast recipe when this exists. 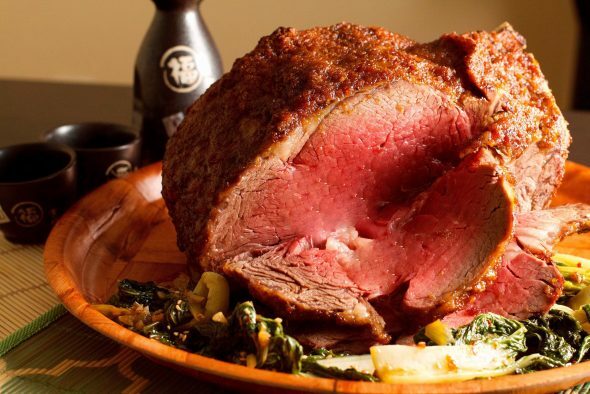 Look how perfectly that meat is cooked. 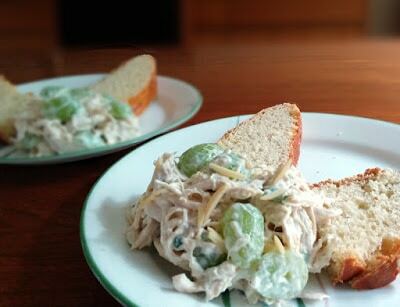 The Most Non-Boring Chicken Salad in the Universe! Chicken Salad is a great way to use up leftover chicken, especially if you’re not making bibimbap. I’ll try this next time we’re planning a picnic. The Most Non-Boring Chicken Salad in the Universe! – Oh! You Cook! When this recipe debuted, it took the Internet by storm. 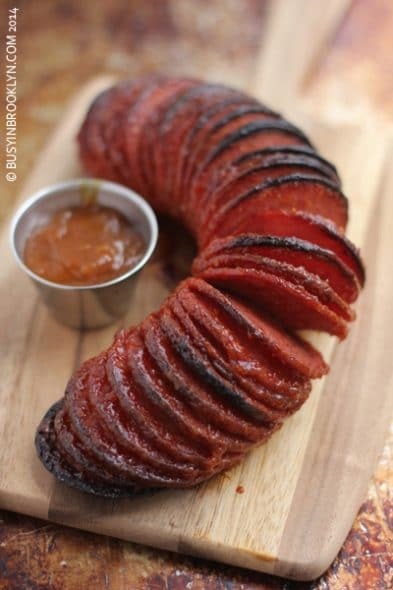 I remember the first time Chanie posted this, and I even made my own adaptation with of a Cranberry Hasselback Salami. And if you’re making Hasselback salami, potatoes or anything for that matter, Chanie’s chopstick hack is the genius method you have always been missing. With a welcome break from all this meat and chicken, this nut crusted salmon is quick to prepare fresh or make ahead. I’ve even served it cold with potato salad, lentils with fresh herbs, and a green salad. 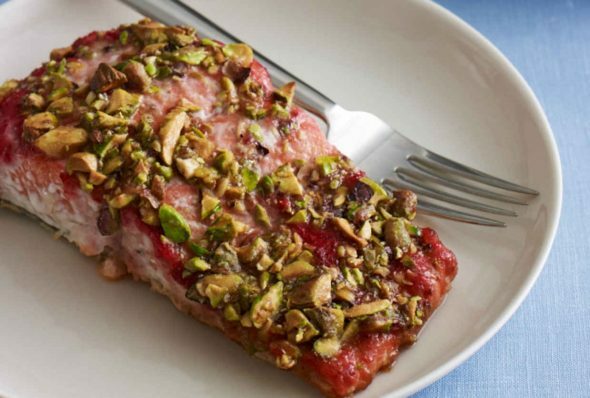 For a Middle Eastern twist, try making dukkah crusted salmon. Family recipes are always the best to conjure up memories and make everyone at your table feel loved. 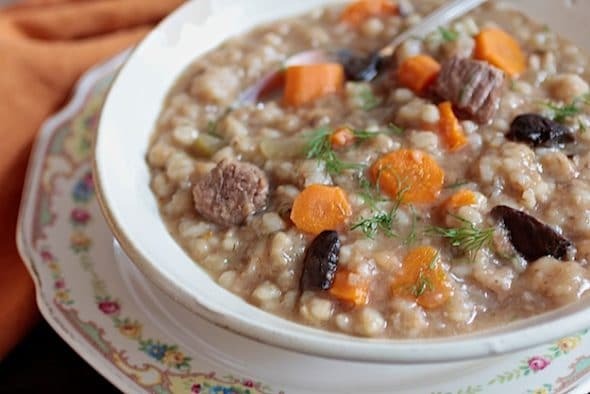 Everything that Liz shares over at Kosher Like Me is absolutely divine, and just looking at these photos makes me want to rush into my kitchen and cook this hearty soup. I love brussels sprouts and so does our oldest child. I either roast them or saute them, but never have I thought to add nuts or dill. I know that this dish is going to be served in our house very soon. 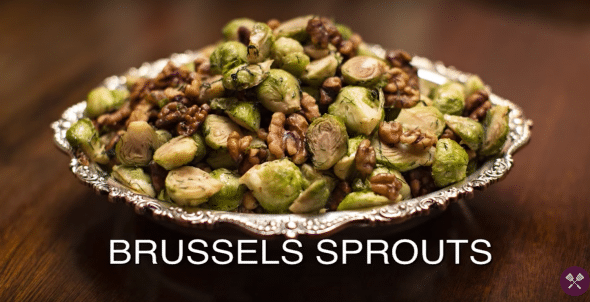 For a sweeter dish, try my maple, balsamic, and lemon brussels sprouts. I do like a hearty stew any my father in law makes a Sephardic bean stew that is also full of flanken and great northern beans. I think the main difference may be that he uses more tomato than this Syrian version. 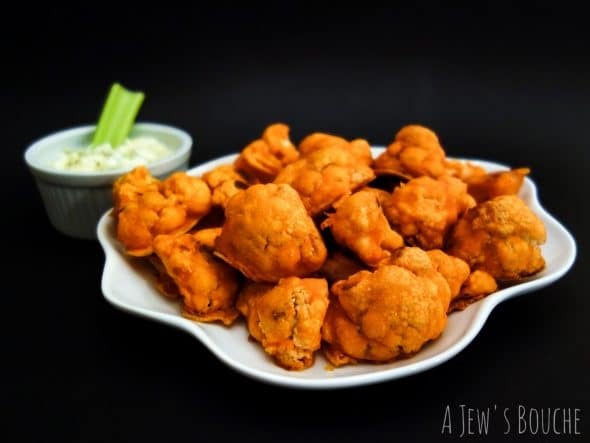 Ever since Whitney won my inspired recipe of the year contest in 2013, she has continued to impress the entire kosher culinary community with her recipes. It seems fitting that this popular recipe is also prepared in one of the most popular types of cookware of all time. Have I ever mentioned that potatoes are my guilty pleasure? 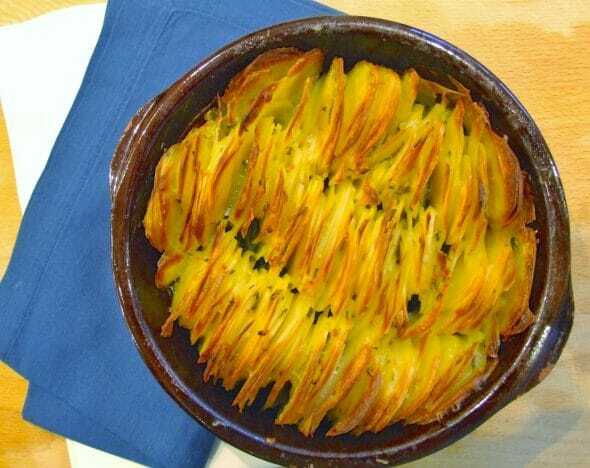 I love roasted potatoes with a crispy edge and a soft delicate inside. Scalloped potatoes give you plenty of surface area for that crispy texture with plenty of that soft and comforting potato goodness. This recipe comes from the UK’s only kosher food blogger (to my knowledge). 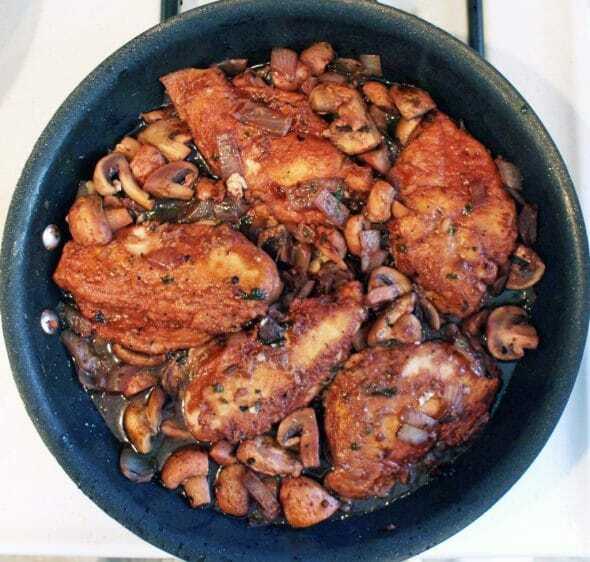 This is another chicken dish that is going to go into my dinner rotation. I find myself agreeing with Ronnie Fein on all things food. Fresh figs are delicious, especially when they are in season. Other than my figs stuffed with garlic I haven’t cooked with them enough. Keep this recipe in mind as fig season approaches. 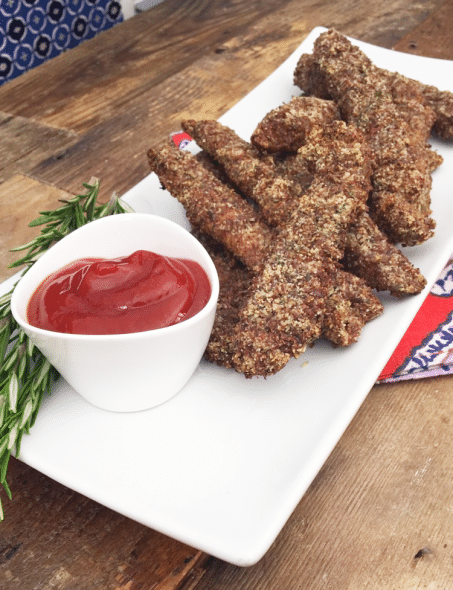 I love chicken fingers and finding a baked, gluten free recipe that also has amazing flavor is a real treat. As for the ketchup, it’s easier than you would have imagined. If you ask a British person what their ultimate childhood comfort food is, I’d be willing to bet they’d say Shepards Pie. Over at Spice and Zest is an excellent recipe for this classic dish. 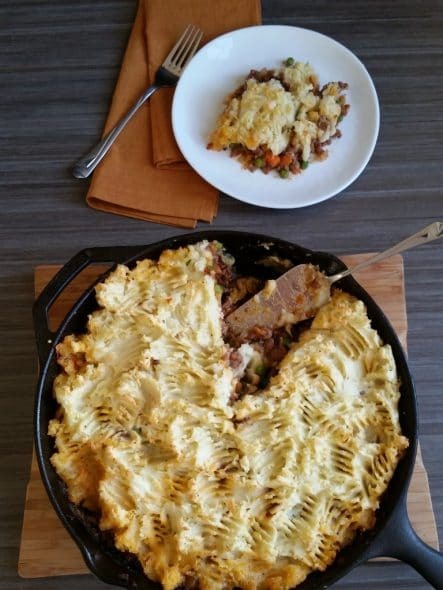 If you want to mix things up a little, I make an awesome two-potato Shepards Pie too. This is one of the few (perhaps only) dairy recipes in this roundup of kosher recipes, and it’s sure earned its place. Bourekas are tradition Sephardic phyllo dough pastries filled with all sorts of delicious treats. You can make this as a pie, or as a handheld pie for the perfect Israeli street food. This is a delicious way to prepare cauliflower and I’ve made this recipe before! You can substitute the flour for a gluten free flour if you’d prefer. Close your eyes and think of your favorite comfort food. Mac and cheese. Tuna melts. Shepards Pie. Chicken and Waffles. Whatever it is. Picture it in front of you. Take a deep breath and smell it. You feel that? That warmth that hugs you from within and tells you that everything is going to be ok? 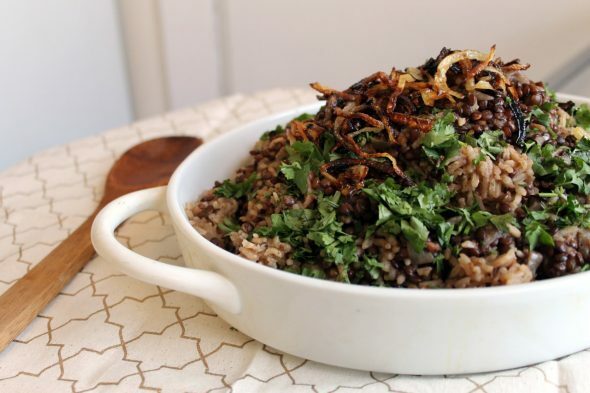 Mujadrara is the Middle East’s answer to comfort food. And every bite tastes like love. This recipe is the real deal. If you’d like to change it up and use quinoa instead, check out my quinoa mujadara recipe too. 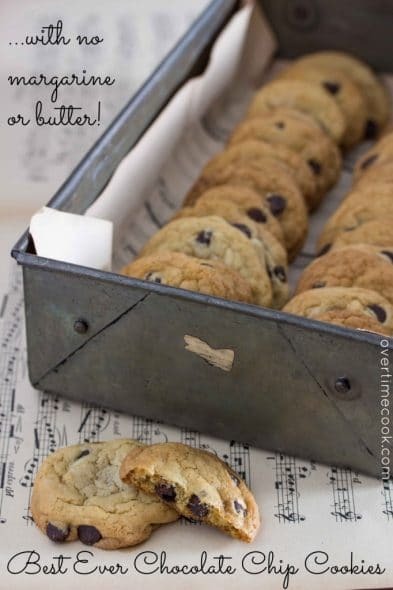 This is an adorable idea from sisters, Vicky and Ruth who write at “May I Have That Recipe?”. 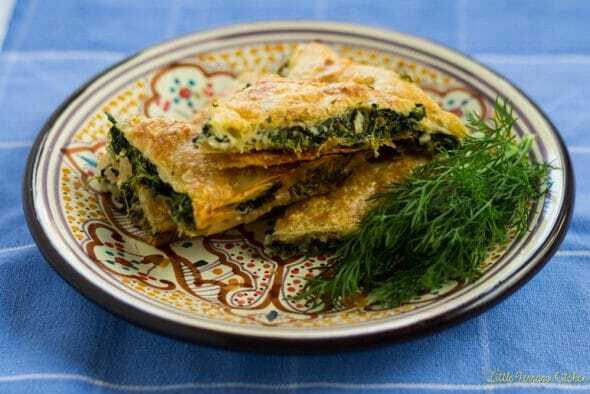 If memory serves me correctly, I’ve included this recipe in a Passover roundup previously, and I’m not surprised to learn that it’s one of their most shared recipes. This is one of those gluten-free, dairy-free, allergy-safe recipes that everyone at your table will love. 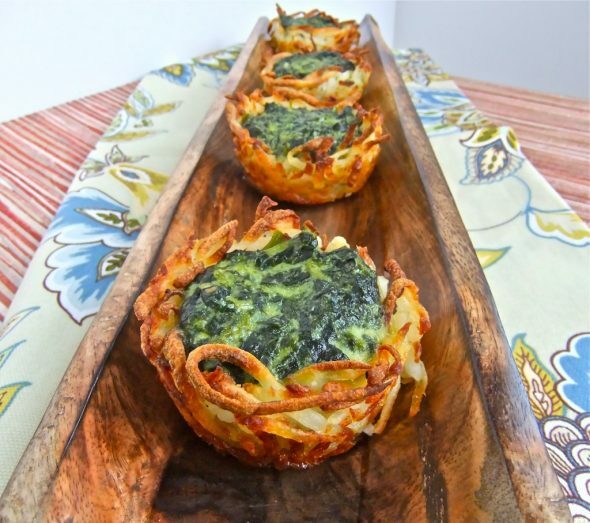 Spinach Potato Nest Bites – May I Have That Recipe? This is an awesome step by step guide to making challah bread from scratch. 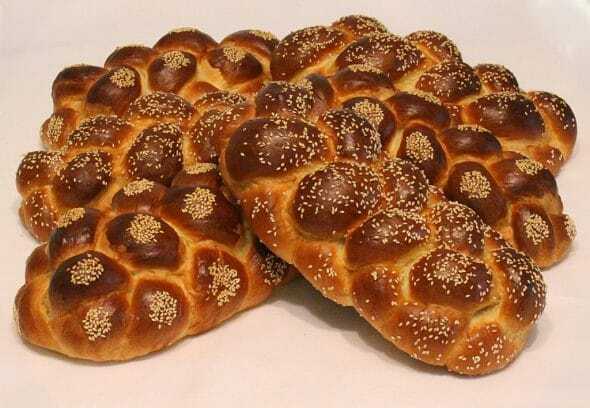 Make sure you scroll to the bottom for the video showing you how to make a six braid challah. This is another recipe that I remember from it’s first appearance in 2014. 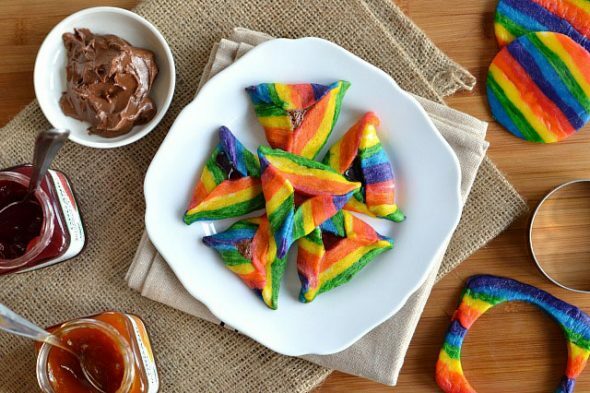 Melinda’s rainbow hamentashen go viral every year, just in time for Purim. 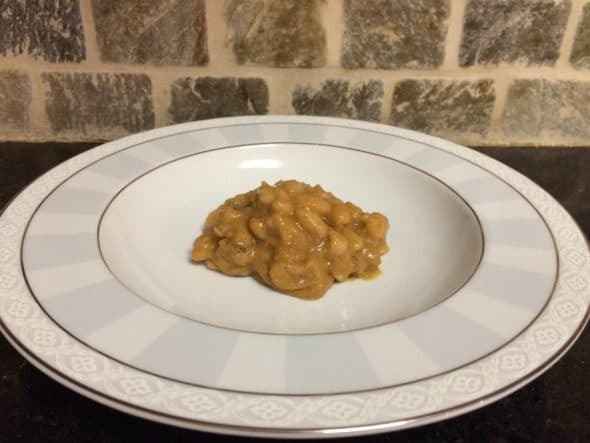 This recipe is short and to the point, and when Miriam from Overtime Cook tells you this is one of her all-time post popular recipes, you know it’s worth trying. This is another recipe that would be perfect for Rosh Hashanah or a special sweet treat. 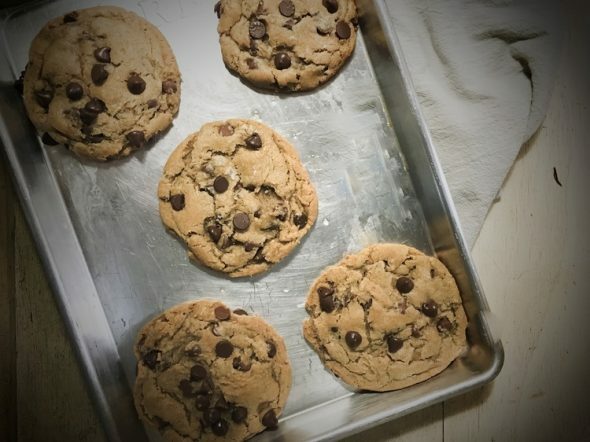 I am not one to bake all that often, but if I did, I’d be scouring Melissa’s blog for inspiration. 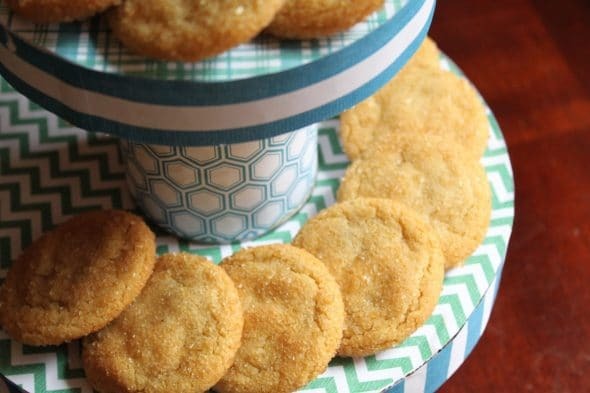 These chewy yellow cookies look sounds amazing. I love the sound of this savory snack and although it might not really fit in the middle of all these desserts, I would totally put in on the table at the end of the meal with a bottle of scotch or arak. 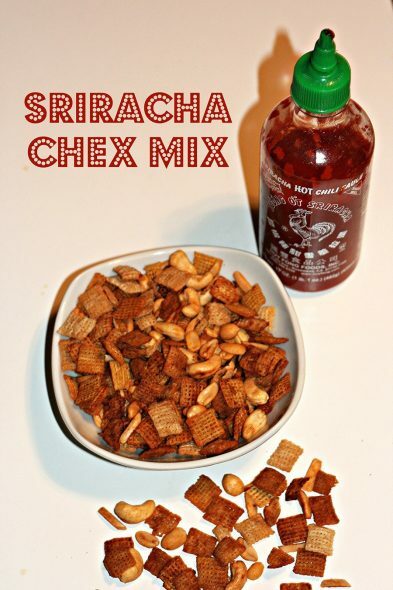 Check out Hindy’s recipe because she has some awesome ideas for flavored homemade Chex mix. With two chocolate chip cookie recipes on this list, it’s clear that kosher foodies love their cookies. I’m not going to say a word to compare the two recipes. It’s up to you to make them both and decide for yourself. Love this? Pin it for later, share with your friends in that Facebook group you love and don’t forget to leave me a comment if there’s a recipe you’d  to see added to this list.